- Fragment of Chaos is droppable in Eternal Chaos Arena. - To Yul NPC (Green Despair), in craft section are added 16 Formula Cards and Chaos Core, where you can buy one core for 10x Fragments of Chaos and you can buy one Formula Card for 50,000,000 Alz. These Chaos Cores will be needed, if you want to create or upgrade your Minesta's Chaos Belt with these Formula Cards, but you will need to have something more to upgrade your belt! 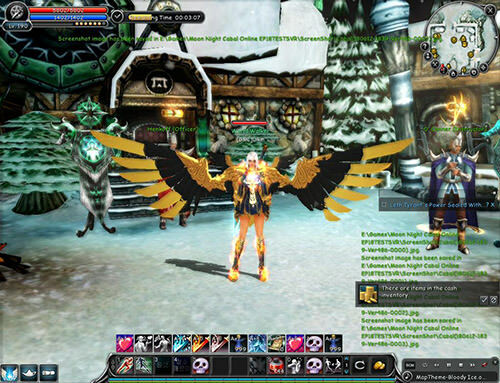 - Chaos Core and Minesta's Belts can be registered into Auction House. 4. From now on, all skills costs 1 Alz. 5. New upgrade slot for every character class! - Now instead 9 free slots, you got 10. 6. 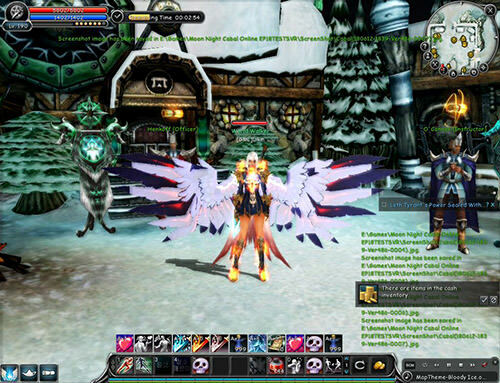 Force Blader Belts are removed and the Blade Buffs Stats are added like Upgrade Skill. - If you are Force Blader and you want the Blade Buffs (Fire, Ice, Lightning), you have to go to the instructor in Green Despair and to learn the skill from there, in Transcender section! - The percents of the Crit.DMG and Crit.Rate won't be visual calculated to the character panel, but be sure they are working fine. 7. Guild Emblems are added. 8. New animated wings are added in the webshop for 20,000 Cabal Cash.